Why Are Unlimited Medical Aid Benefits Not Quite Endless? Why Are Limited Medical Aid Benefits Now the Norm? The truth is that having medical aid cover doesn’t mean that you have unlimited medical care protection the entire year. It more likely means you have terribly limited medical aid benefits. Most medical aids cap their out-of-hospital benefits although there are those that claim to offer unlimited benefits for hospitalisation. With a medical aid, even though you pay high premiums each month, there may well be unlimited in-hospital cover. However, this will be within certain restrictions. This is precisely why it is so important to compare the offerings of your medical scheme. You want to get as close to value-for-money as you can. In spite of this, many consumers are unsure of the benefits and the details of their medical scheme. You’ll find many medical aids in South Africa who offer ‘unlimited hospitalisation benefits’. While most medical aid plans do cover all your emergency medical expenses, this is mainly only applicable in life and death situations. These unlimited hospital benefits can be misleading because they don’t cover those non-essential procedures and the medical aid is likely to also impose a limit for certain procedures. Also, those specialists who charge above the National Health Reference Price List aren’t fully remunerated. This means that the medical aid member becomes responsible for the price difference. How do the Limited Medical Aid Benefits Affect You? It is imperative to be aware of the kind of medical aid cover you buy because even though there are plans that claim to offer unlimited benefits for hospitalisation, as a member of the medical aid you have to know about what procedures they mean and which ones have co-payments attached to them. 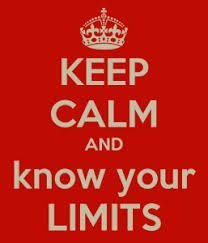 Money talks and if you’re on the most expensive scheme there is, there may not be limits. However, with certain plans, medical aids have an annual limit where they put a cap on treatments. It means if you’ve reached this cap, you’ve got to pay for your own medical treatments. If you have to have several operations after you’ve reached your cap, you could be looking at medical bills that run into hundreds of thousands of Rands. Selfmed is a reputable medical scheme in South Africa that prides itself on its transparency. They know that many South Africans can’t understand these medical aid limitations because of the irritating and complicated medical jargon used to describe medial aid terms. As a well established medical scheme offering simple health care and excellent services, they explain these terms based on their more than 50 years of being in the industry. Selfmed gives a simple explanation as to precisely what unlimited benefits mean. They make sure you understand exactly what you have cover for and what you will have to pay towards your treatment. Selfmed will tell you that when a medical scheme tells you that you have cover for 100% of the medical scheme rate, it by no means suggests that the medical scheme will pay your entire bill. If you’re looking for a ‘what you see is what you get’ type of medical cover, you’d be wise to start with Selfmed.